There are those that read comic books for fun. They buy them, read them, then put the comics aside or give them away. Maybe they never think much about those books again. Then there are people like Jimmy Impossible. A person so obsessed with continuity that he will scour every one of those comic books looking for the magical strands that hold them all together. 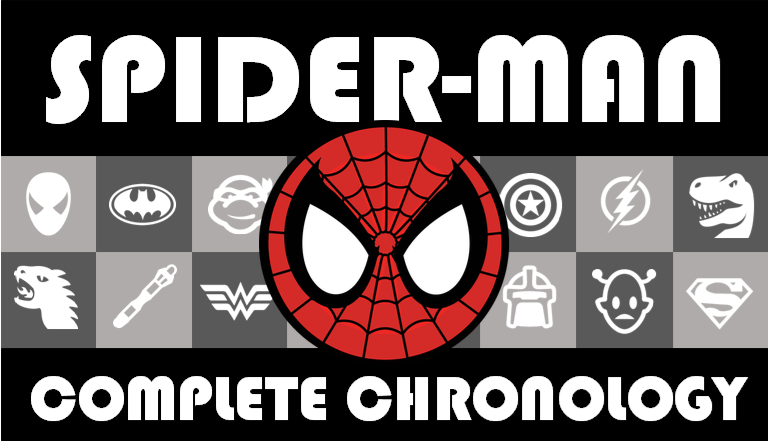 Although his doing so has resulted in madness, you can benefit as Gabbing Geek uncover his final legacy: a complete chronological reading order for every Spider-Man comic ever. What If? – V2 – 042 – What If Spider-Man Had Kept His Six Arms? What If? – V1 – 024 – What If Spider-Man Had Rescued Gwen Stacy? What If? – V2 – 058 – What If The Punisher Had Killed Spider-Man? What If? – V1 – 030 – Spider-Man’s Clone Had Lived? What If? V2 017 ..Kraven The Hunter Had Killed Spider-Man? What If? V2 004 ..The Alien Costume Had Possesed Spider-Man? What If? V2 020 ..The Amazing Spider-Man Had Not Married Mary Jane?